The attack in Bakersfield, began at a trucking business where Casarez showed up with his ex-wife, Petra Maribel Bolanos De Casarez, 45, police said. Javier Casarez killed three people at a bank in downtown Cincinnati before he was shot by police. A gunman who killed five people in Bakersfield, California, and then took his own life was recently divorced and may have forced his ex-wife to accompany him to a trucking business before shooting her and other victims, authorities said on Thursday. Javier Casarez, 54, may have planned whom he was going to target in Wednesday evening's shooting spree, but his exact motive remains unclear, Kern County Sheriff Donny Youngblood told a news conference. Detectives had a lot of work to do investigating the incident, which unfolded over half an hour within an area of several city blocks, said the sheriff, who has called such mass shootings the "new normal" in the United States. Last week, a gunman killed three people at a bank in downtown Cincinnati before he was shot to death by police. "We're seeing this across the nation, people taking handguns and shooting people with more than one victim at a time," Youngblood said on Thursday, adding: "It's just something that I hope we don't become immune to." 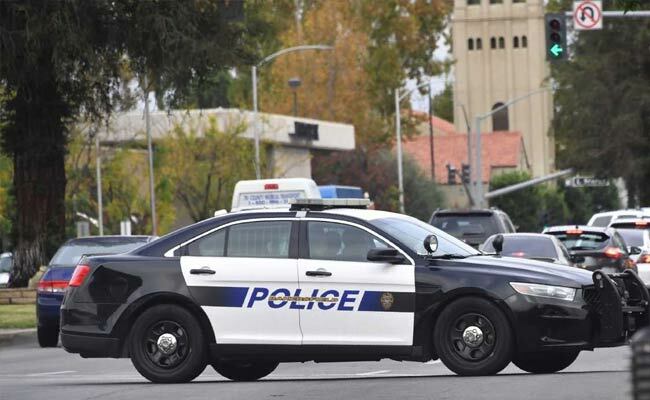 The attack in Bakersfield, a community of 375,000 people about 90 miles (145 km) north of Los Angeles, began at a trucking business where Casarez showed up with his ex-wife, Petra Maribel Bolanos De Casarez, 45, police said. It was unclear what Casarez did for a living, but there may have been some connection between his family and the trucking business, Youngblood said. Casarez pulled out a .50-caliber handgun, a large weapon, and shot an employee, then fatally shot his wife, Youngblood said. He then chased another man from the trucking company and fatally shot him in front of a nearby sports store. His next stop was at a nearby house, where he killed a man and the victim's adult daughter, who may have tried to protect her father, Youngblood said. Casarez appears to have known that household, the sheriff said. Casarez then commandeered a vehicle from a woman, taking the car without harming her or a child who was with her, Youngblood said. "It made us believe the others (victims) were targeted for a specific reason," he said. Casarez then drove into the parking lot of a friend's business, where a sheriff's deputy confronted him and he shot himself to death, Youngblood said.